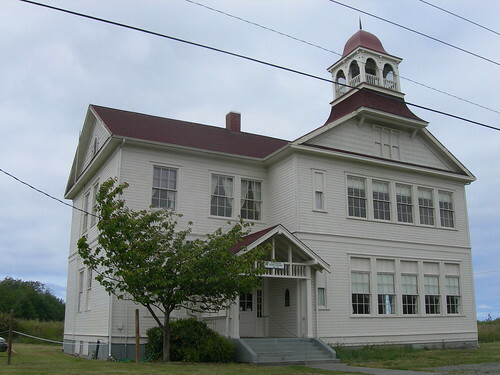 Visit the Old Dungeness School House on June 18, 2011. When driving to Sequim from the Hood Canal Bridge, one travels through dense forests, past newly-planted clear cuts, and along Discovery and Sequim bays. After leaving Sequim Bay behind, one travels around a bend in the road and then suddenly the land opens up. Sequim stretches out from the foothills of the Olympic Mountains to the Strait of Juan de Fuca. The journey isn’t far, but it’s easy to imagine how long it must have seemed for people traveling overland before the advent of automobiles. The gently rolling prairie of Sequim must have seemed like a safe haven and the end of the journey. People accustomed to the heavy rains of the Pacific Northwest must have been happily amazed by Sequim’s sunny weather. It is no wonder people settled there. The S’Klallam tribe had long lived in the open lands of Dungeness. White settlers moved to Sequim in the 1850s – the first “white” wedding in Clallam County dates from 1856 – and by 1868 there were enough children on the prairie to merit a school. Since then, the town has grown to about 6,000 people in the city limits. The history of Sequim may not be immediately apparent to visitors, for in the past decades, new development has mushroomed. Yet here and there, historic buildings have been preserved. A good time to see them is during the Dungeness Historic Homes Tour on June 18th, 2011. Though transportation is not provided, guided tours of each site are provided. For more information and tickets, please visit the Dungeness Historic Homes Tour. 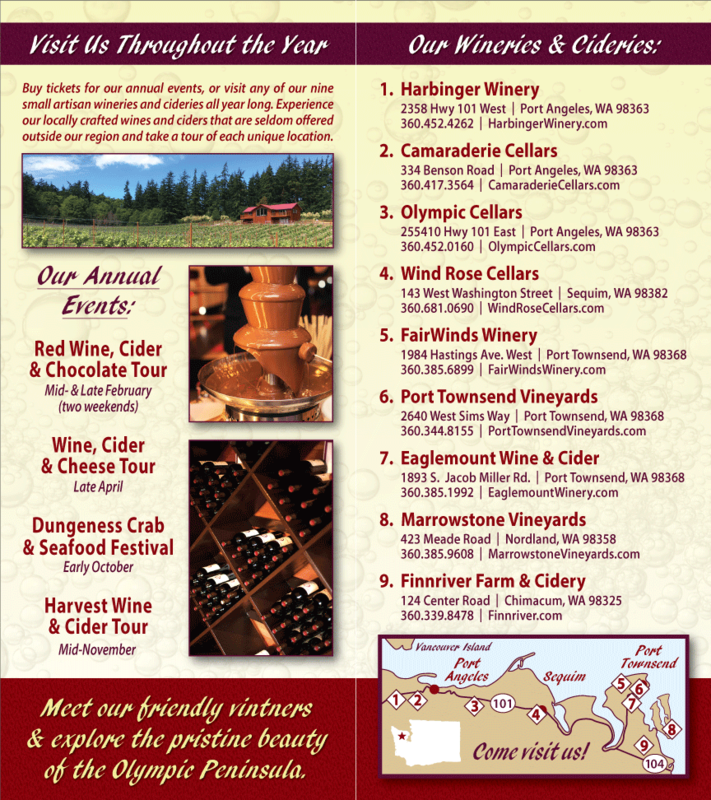 Sipping hand-crafted Olympic Peninsula wine and cider is the perfect way to conclude a day of touring historic homes in Sequim.